The name Agatha means “good”. She was born into a noble family. Details of her martyrdom are historically certain but the details are legendary. 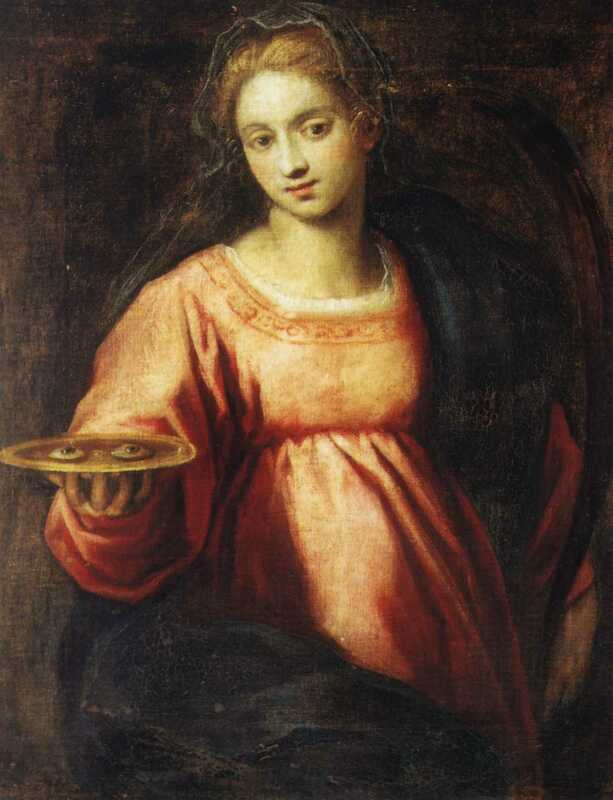 A Roman senator (Quintanius) had St. Agatha tortured, including cutting off her breasts because she refused his solicitations. When she continued to refuse, he had her thrown onto red-hot coals. An earthquake shook the town and he feared an uprising of the people so he had Agatha returned to prison where she died. In prayer we also have communion with Mary, the Mother of God. True or False?